From South America to Malaysia, from Hawaii to China, fruits, berries, and their juices are being hailed as the new superfoods. Boasting high amounts of antioxidants and other vital nutrients, these superfoods can play a supporting role in a healthy diet. They are widely available as antioxidant juices, supplements, or added ingredients in smoothies, recipes, and other premade products. Antioxidants are the body’s armed forces, working to prevent free-radical damage to the body’s cells, which is associated with premature aging and disease. 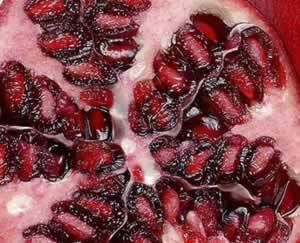 Pomegranate: Ruby-red pomegranate is an antioxidant superstar. The distinctive sweet-tart flavor of the seeds and juice adds flare to food and drink. Native to Iran and the northern Himalayas in India, the pomegranate today is grown in California and Arizona. Açaí: Another rich antioxidant source with a notable taste, açaí is a like blueberry crossed with dark chocolate. Derived from Amazon palmberries, its rich purple pigment denotes a high antioxidant level. According to the manufacturers, açaí is also high in amino acids and fatty acids, which help to keep cell membranes supple. You’ll find açaí in smoothies, juices, teas, and powders. Goji: The berries and juice of the goji fruit holds its nutritional treasures. From the Ningxia province of China, goji, a fruit of an evergreen shrub, was traditionally regarded as a longevity-promoting and strength-building tonic. Goji is high in antioxidants and amino acids, according to the manufacturers. Mangosteen: The juice of the native Malaysian mangosteen. Garcinia mangostanas contains a class of antioxidants called xanthones, which hold promise for their disease-fighting properties. Noni: Noni, or the morinda tree, is found in the Polynesian Islands and Hawaii. The fruit and its juice are used traditionally as a laxative and topically for skin ailments. Today noni producers tout it for its ability to aid a wide variety of conditions from improving asthma to assisting in weight loss. Maqui: According to the manufacturers of the maqui products, this Chilean berry has the highest known antioxidant content of any fruit and has been traditionally used by Mapuche Indians for supporting stamina, increasing strength, and promoting healthy immune response. When trying new products—especially those that make big promises—do your research and consult your healthcare practitioner so you can make informed choices. Remember that moderation and variation are the keys to health, and a wide variety of foods, such as fruits, vegetables, and nuts and other protein sources, will work together to promote health and vigor. Kathleen Finn is a freelance writer and marketing consultant in the natural health industry. She is partial to pomegranate.